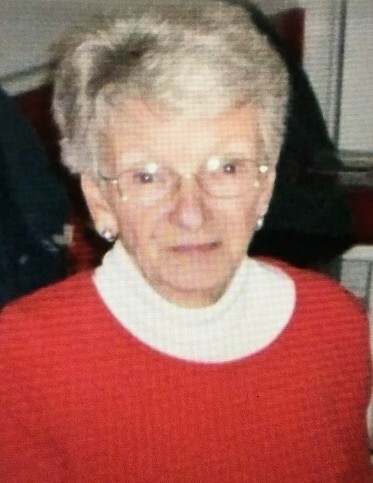 Darlene Coffman, 83, of Gainesville, Georgia passed away at home the morning of March 25, 2019 due to natural causes. Mrs. Coffman was born in Dry Creek, Kentucky on September 3, 1935 to Shirlie and Anna Caudill. She worked as a secretary in the Gainesville Poultry industry and attended New Hope Church in Gainesville. In addition to her parents, she is preceded in death by her husband Ronald Coffman and daughters, Sherry Raines and Susan Hollon. She is survived by her children, Sandra and Rickey Lee Thomas and Steven and Sharon Woods; grandchildren, Jeremiah and Leigh Hollon, Nick and Shawnda Hollon, Heather and Jeremy Bennett, Rebekka Haley, Ashley and Gerald Robinson, Adrienne and Josh Dominicali, Anna Sheree Thomas and Seth and Cindy Woods; 14 great grandchildren; siblings Joyce Cunningham and Druard “George” Hall. A Memorial Service will be held at 2:00 p.m. on Saturday, March 30, 2019 at New Hope Church.